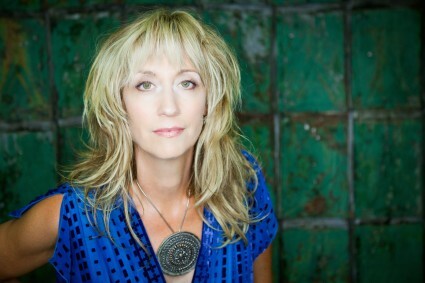 Baltimore–born Folk/Americana songwriter Speace received rave reviews for her 2013 record, How To Sleep In A Stormy Boat, a song cycle inspired by Shakespearean characters, from Mojo Magazine to The New York Times to a feature on NPR’s All Things Considered. It wasn’t such a stretch for Speace since she started her creative career in NYC as a Shakespearean actress, working with The National Shakespeare Company for a few years before being discovered in a folk club by Judy Collins. Speace released her debut in 2006 on Collins’ Wildflower Records, Songs For Bright Street, to rave reviews. The Killer In Me was released in 2009 with NPR comparing her to a young Lucinda Williams. Speace moved to Nashville from NYC in 2009, releasing Land Like A Bird on the Thirty Tigers label. Her song “The Weight of the World,” which Judy Collins has called “one of the best political folk songs I’ve ever heard” was named as the #4 Folk Song of the Decade by NYC’s premiere AAA radio station WFUV. Her songs have been recorded by Judy Collins, Red Molly, Memphis Hall of Fame blues artist Sid Selvidge, and others. Amy is also an in-demand teacher of songwriting and performance, having taught at Berklee College of Music, Rocky Mountain Folk Festival Song School, Kerrville Folk Festival Songwriter’s School, Sisters Folk & Americana Song Academy, and The Swannanoa Gathering Contemporary Folk Week.